Brion Island has been an ecological reserve since 1988. 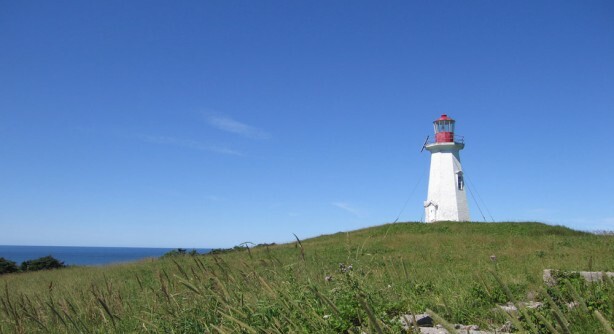 It is located 16 km north of Grosse Île. It was inhabited by a few families during about a hundred years, but nobody lives there today. The island is difficult to access, particularly when strong winds are blowing, but it perpetuates a great ecological diversity and it is the ecological memory of Îles de la Madeleine. remnants of the original ecosystem of the Îles de la Madeleine. Located 16 km from the Grosse Île Island, Brion Island had a permanent settlement of several families for over a century. Fishermen set up seasonal quarters there until the beginning of the seventies. The Island now mounts a watchful guard over the history of the Scottish families, Acadian fishermen and lighthouse keepers who lived there. The largest of which, covering over 650 hectares, is the ecological reserve. The off-reserve portion of the Island is a wonderful place to observe the local flora and many species of birds, including the Atlantic Puffin.